Whether you're participating in a weight loss program or simply trying to shed a few pounds, regular walking offers an effective low-impact activity that burns calories with every step. 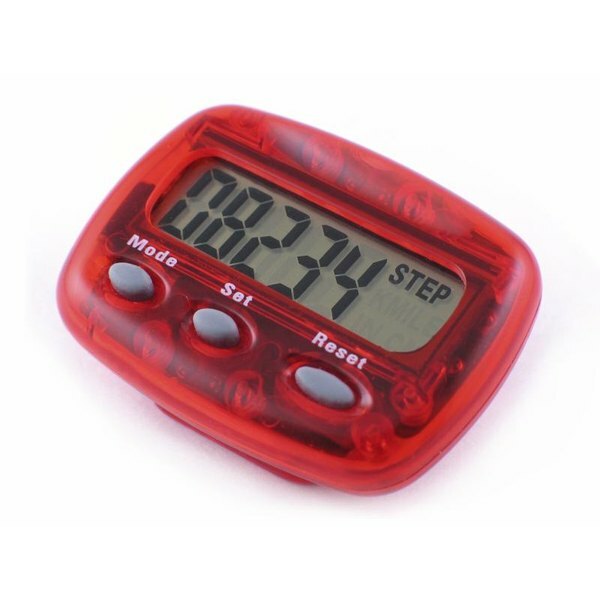 To help you keep track of your steps, wear an inexpensive pedometer while you walk. Converting the steps into the number of calories burned requires a few calculations, or you can use an online fitness calculator. For most exercisers, walking 1 mile requires an average of 2,000 steps and burns about 100 calories. Given these averages, you'll burn approximately one calorie every 20 steps or 0.05 calories per step. Track your steps with a pedometer and multiply the number of steps by 0.05 to estimate the total number of calories burned. Set up your pedometer with your stride length if needed. To find this, measure 100 feet, walk the distance, count your steps and divide 100 by the number of steps to get your stride length. Multiply your weight by a factor of 0.57 to determine how many calories you burn while walking at a casual, 2 mph pace. For a brisk 3.5 mph pace, use a factor of .05. Walk at your pace for a mile and note the number of steps recorded on your pedometer. Divide the number of calories burned by the number of steps to determine how many calories you burned per step. If it takes 40 steps to walk 100 feet, divide 100 by 40 to get a stride length of 2.5 feet. For an individual weighing 150 pounds, multiple 150 by 0.57 to get 85.5 -- the number of calories burned during a 2 mph, 1-mile walk. If it takes 2,100 steps to walk the mile, divide 85.5 by 2,100, which gives you 0.04 -- the number of calories burned with each step.